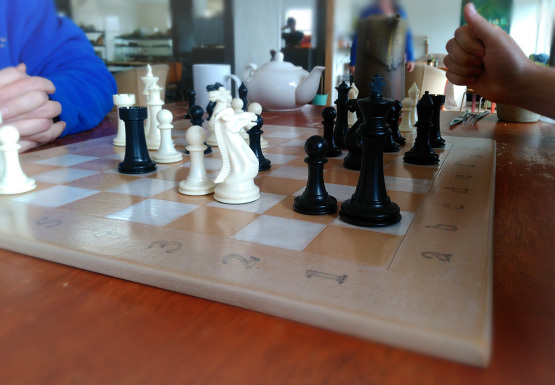 Last Sunday, I got to try out the third board I made, at the first meeting of the newly-formed local chess club. I was lucky to sneak in the win so early in the game against Mike. 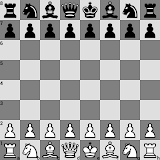 He played the opening well up to that point, and seemed to do well (but ultimately lost in the end game) with Black against Dane's King's Gambit afterwards. The board in action later that morning.